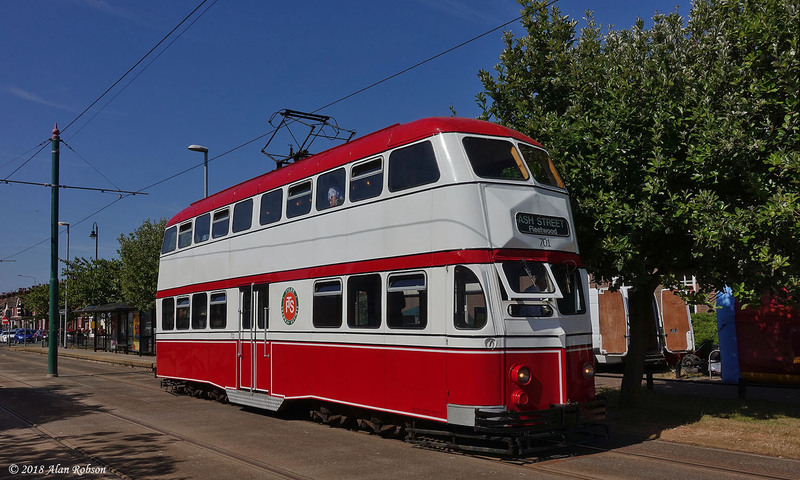 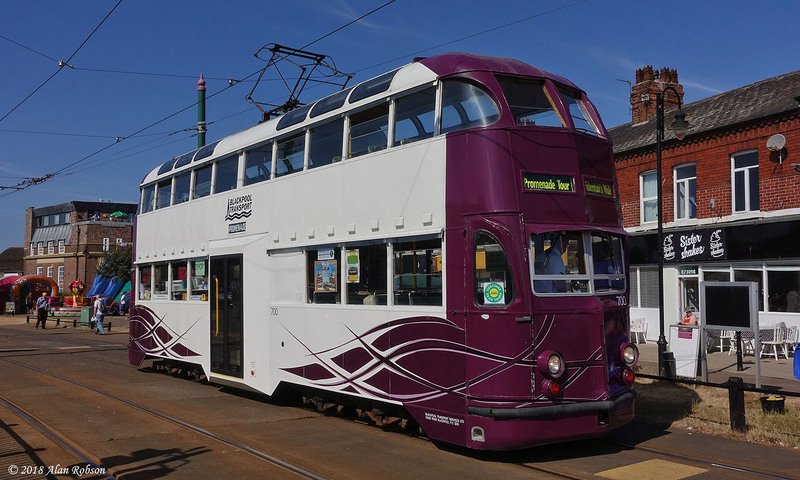 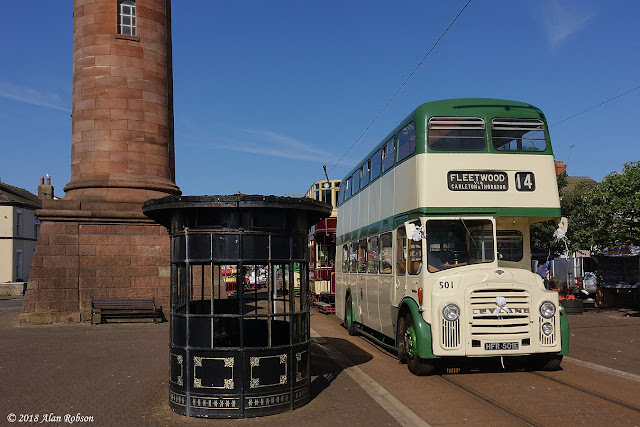 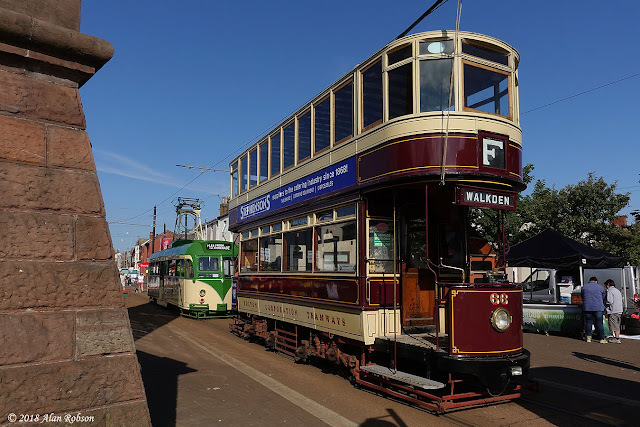 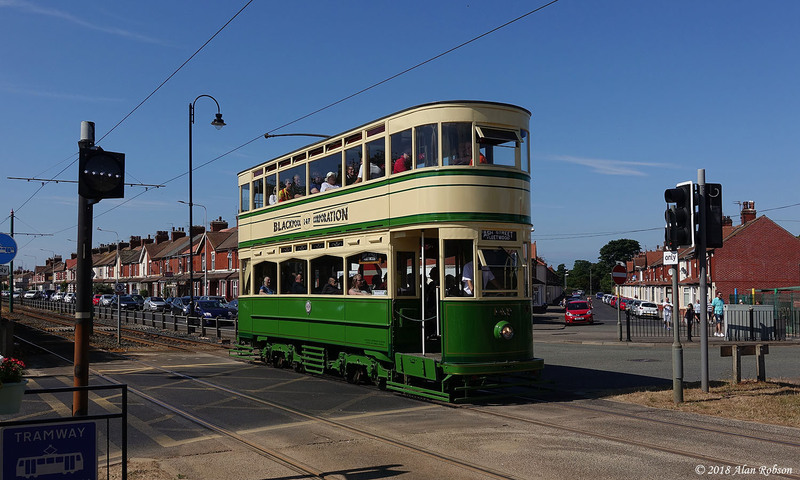 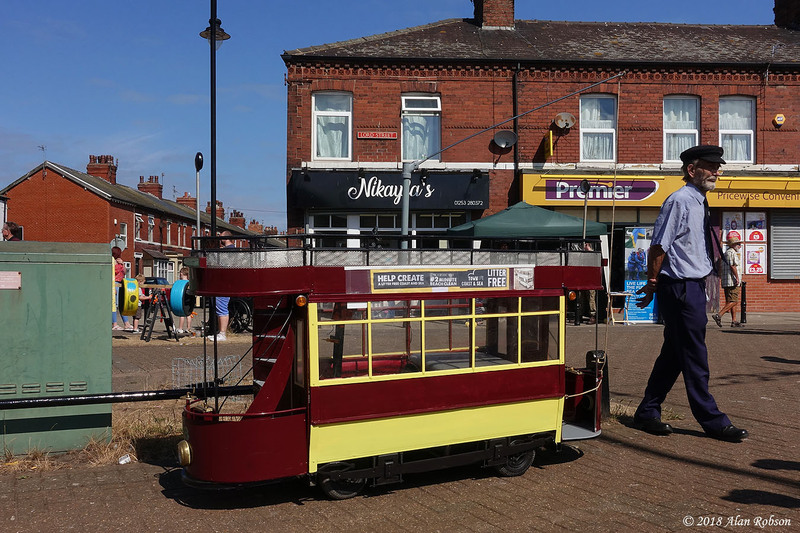 The annual Fleetwood Festival of Transport, more commonly known as Tram Sunday, took place in beautiful sunshine on Sunday 15th July. 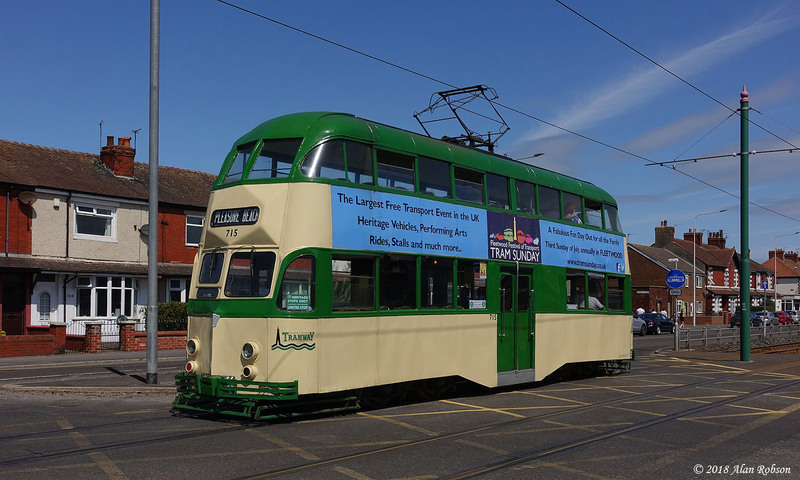 A frequent vintage tram service to Blackpool was provide by the Blackpool Heritage Tram Tours throughout the day. 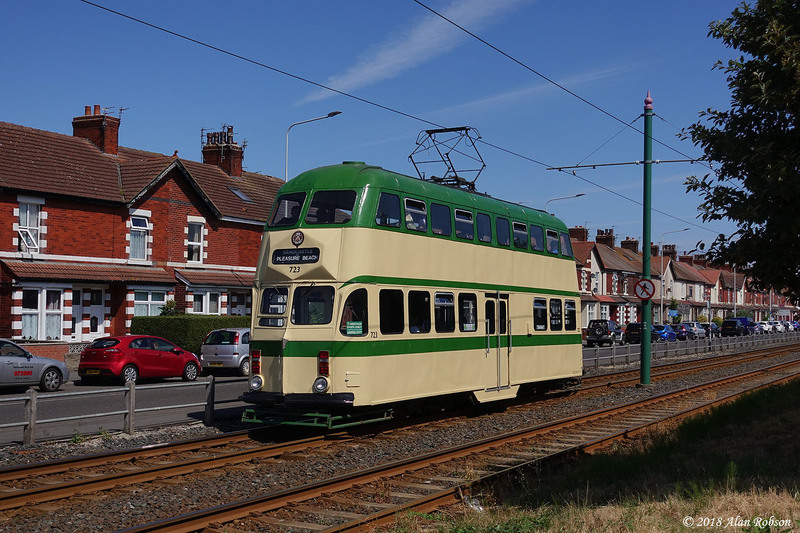 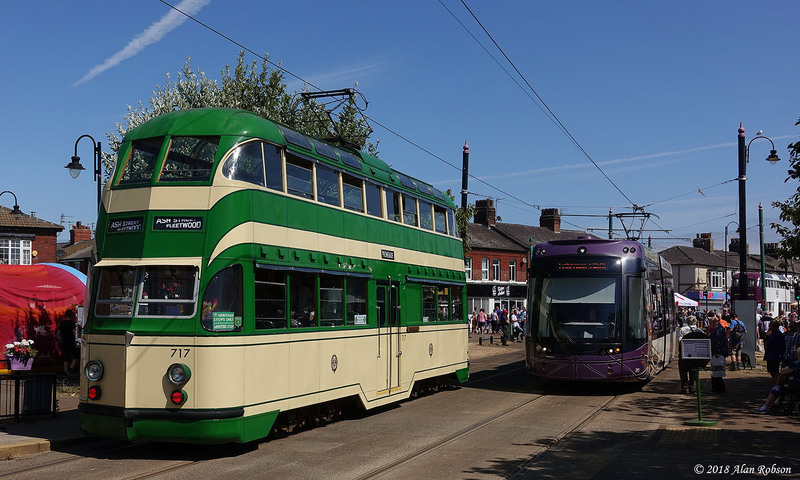 The trams in use on the Fleetwood to Pleasure Beach heritage service were Standard 147 and Balloons 701, 713, 715, 717 and 723, with Balloon 700 stationed on Lord Street in Fleetwood selling Heritage Tour souvenirs. 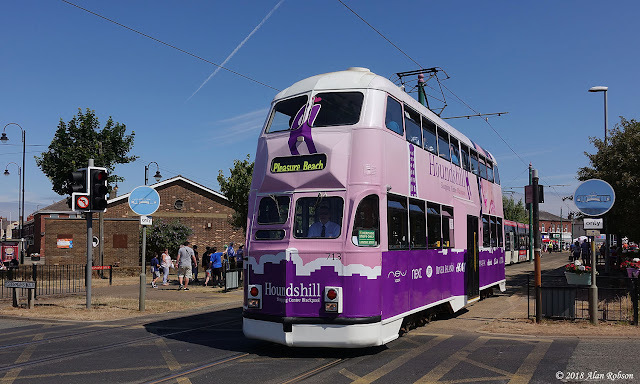 With six Balloons in evidence throughout the day (including the shop) the event could almost have been subtitled "Balloon Sunday".